Service for PCs & laptops. Virus, malware & spyware removal. Atlanta laser printer, copier and plotter repair problems can be one of the most frustrating problems of your business day. We are here to help you minimize your Laser printer, worries by repairing / servicing your Laser printer and maximizing your productivity. In the process, we add value to your business operations and to your productivity. MSC Group is an HP LaserJet printer and plotter repair specialists serving Atlanta, Georgia since 1982. Professional preventive Maintenance on Hewlett Packard, Kyocera, Brother, Okidata Authorized Service Center and Lexmark printers can save you a great deal of headaches and expense. 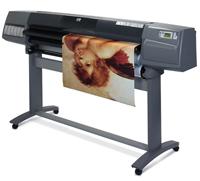 The down-time you may experience by not properly servicing your laser printer or HP plotter can be extensive. Using our low cost maintenance and printer / plotter repair service would greatly benefit your company along with our low cost supplies for printer,designjet, fax, copier, scanner. As a one-stop-shop, we can help you with repair on laser printer, multifunctions (mfps), designjet, color laser printer, and scanner. We can help and provide you with everything you need for your office, plotter, printer, and copier service needs. We keep things running smooth with only one place to call for all your needs!